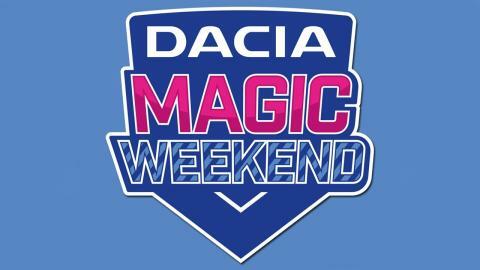 Dacia Magic Weekend heads back to St James’ Park for a third year and promises to give you a weekend of unforgettable family entertainment. The weekend gives fans the only chance to witness all of Super League’s teams over one weekend at one amazing venue. It’s the best showcase of Rugby League in the country for old fans, new fans and anyone who fancies a great day out. Travelling to and from St James' Park is easy with us. Simply use our Journey Planner then sit back, relax and let us do the driving for you. Download the Go North East app and turn your phone into your bus ticket. Buy, show and go! If you're travelling with the family, you can save money with our Family Day Ticket. Only £10 when bought on the app, or £13 on the bus, and covers up to two adults and three children travelling in a group. A minimum of one adult and one child is required. Need help with bus tickets or planning your journey? Get in touch with our Customer Services Team on Facebook, Twitter or Live Chat and they'll have you on your way in no time at all.